The 29th Spring Trophy reached its conclusion in Lonato on Sunday with a great participation and a top class spectacle. A total of 440 drivers got on track in the opener held a week ago (204 drivers) and in the final held on March 25th when further 236 drivers contested national categories and the opener of Rok Cup North Area. A very intense racing day has characterized this edition that counted 16 races and 9 finals. In the national categories, the most powerful category KZ2 has been highly spectacular and the Italian Manuel Cozzaglio was literally unleashed on his BirelArt-Tm, winning an hard-fought final from Francesco Celenta (Praga-Tm) to Alessandro Buran (Vrk-Tm). The winner of the opener, William Lanzeni (Ricciartdo-Tm) had to settle for P7, but this result earned him the victory of the Spring Trophy in the sum of the two results. The victory of the closing race of OK-Junior went to Moritz Ebner on Energy-Tm, but the Swiss Antonio Lagrotteria (Exprit-Tm) managed to secure the trophy ending second. The third place on the podium went to Brando Pozzi (Croc-Tm). 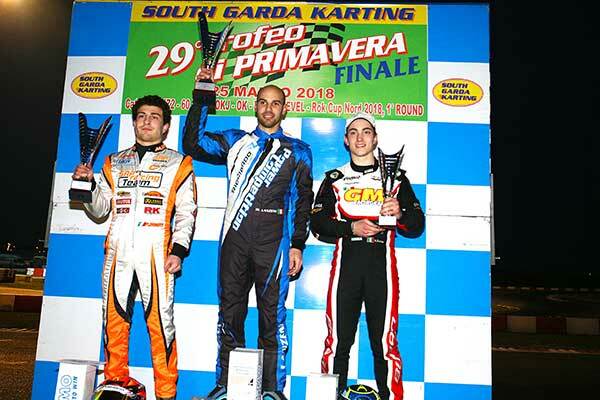 Giovanni Trentin (Parolin-Iame) had the upper hand in 60 Mini following the victory scored by the Austrian Kiano Blum (CRG-Tm) in the opener. The latter had been delayed this time around in qualifying due to a technical problem. The young Austrian managed nevertheless to recover up to P3 in the Final, closing his race also behind the Swede William Adolfsson (BirelArt-Tm). This result allowed Blum to get the Trophy though. 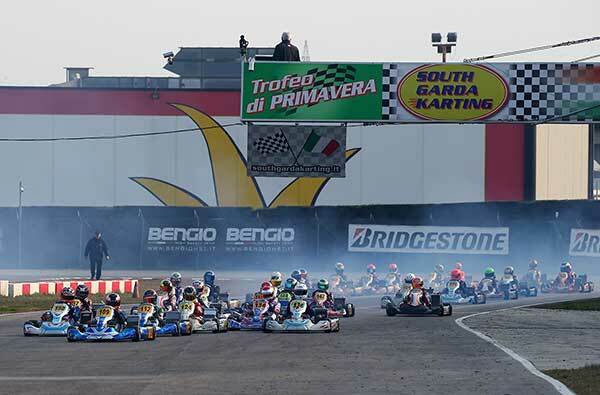 The Final of the Entry level category reserved to the very young drivers was won by Cristian Romeo (Tony Kart-Lke), but the Trophy was won by Filippo Sala (Parolin-Lke), who was second in this race. The third place went to Nicolò Cipriani (Gold-Iame). 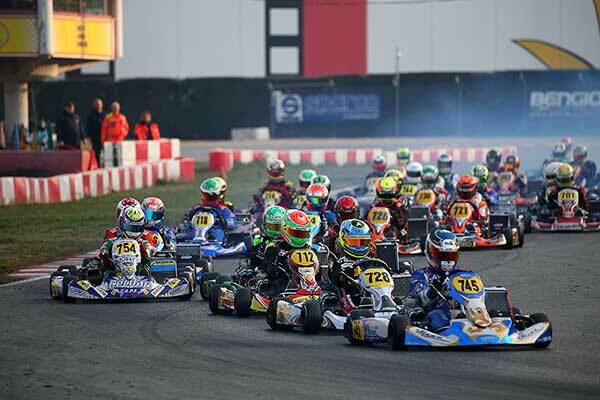 Rok Cup categories counted a total of 150 drivers on track. Polish drivers had the upper hand in Senior Rok, as Maciej Szysko led his brother and team mate Szymon Szysko on Kosmic-Vortex, as well as fellow-countryman Franciszek Palmirski (FA-Vortex). 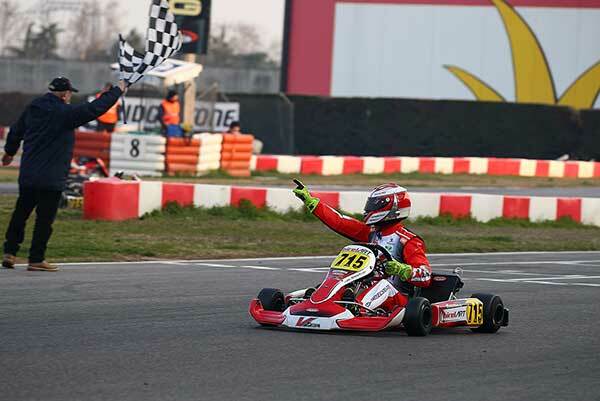 Rok Expert got on track at the same time of Senior and the victory in this class went to Tino Donadei (Evokart-Vortex). Gabriele Bensi (Brm-Vortex) run a good race in Shifter Rok and managed to pip the Swiss Samuel Luyet (Tony Kart-Vortex) and Riccardo Cinti (Tony Kart-Vortex) at the end of a good duel. A great duel was also fought in Super Rok. The driver from Andorra Alexandre Machado (Tony Kart-Vortex) managed to emerge as the winner, leading the South African Fabienne Lanz (Formula K-Vortex) and Luca Bertonelli (Tony Kart-Vortex). The spectacle in Junior Rok has also been excellent. Federico Cecchi eventually won the race proceeding Valentino Bracco, both on Tony Kart-Vortex, while the Pole Marcel Kuc (Energy-Vortex) won the sprint for P3. Mini Rok also had an exciting sprint to the line. 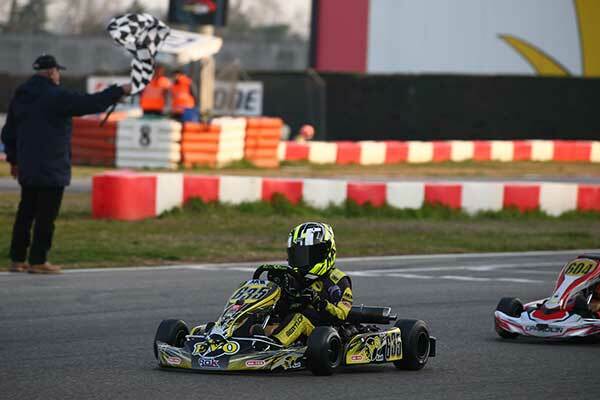 The top step of the podium was eventually taken by Cristian Bertuca (Evokart-Vortex), who led Andrea Barbieri (Parolin-Vortex) and Davide Marconato (Top Kart-Vortex). The next racing event in Lonato is the opener of the DKM German Championship next April 15th.